* You can order through PayPal with a credit or debit card. You do not need to open a PayPal account - just choose the ‘guest’ option. 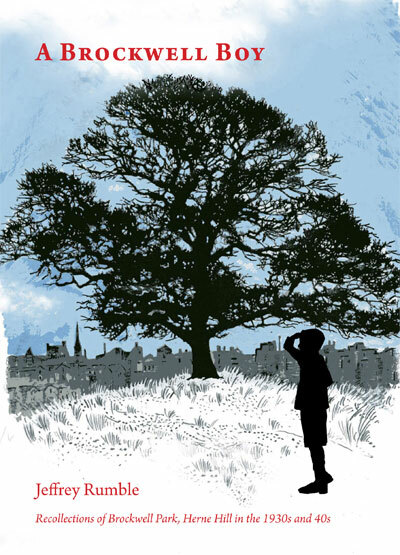 A Brockwell Boy is the entertaining memoir of a sharp-witted and observant child before, during and just after World War 2. It will delight anyone who enjoys a visit to Brockwell Park. * the boys’ skirmishes with the ever-vigilant Park Keepers, in their distinctive uniforms. Originally published in 2000, this new, fully-revised edition of A Brockwell Boy features 54 pages, with many illustrations and original line drawings. The Herne Hill Society gratefully acknowledges the support of Oliver Burn Estate Agents, Herne Hill, for this publication. No-one who loves the Park should miss this opportunity to see how it was 70 or 80 years ago.